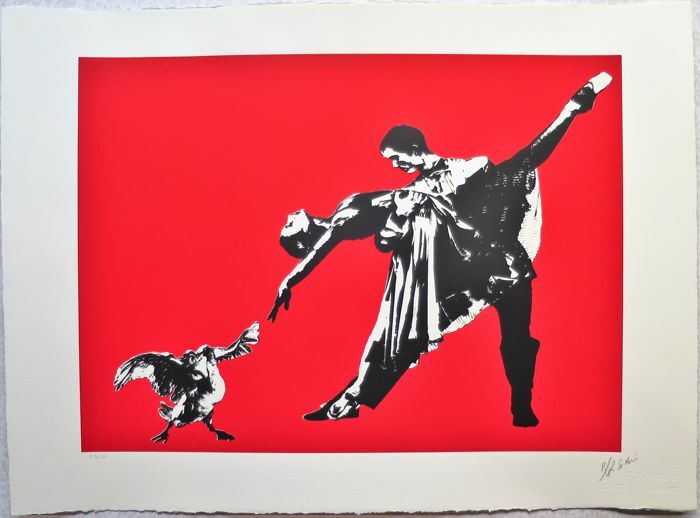 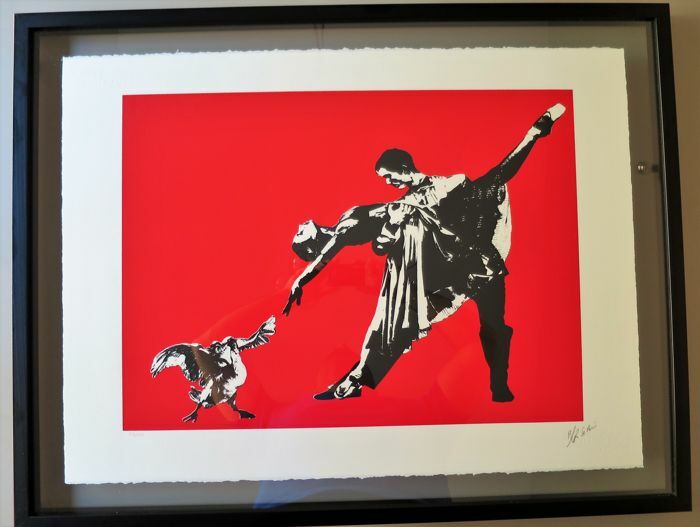 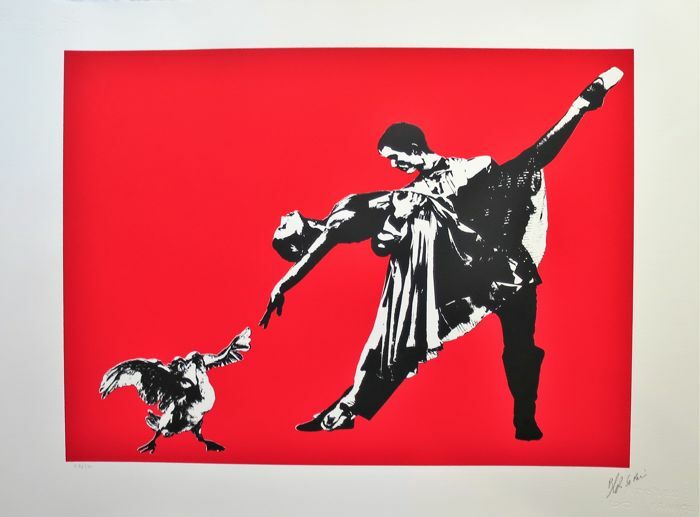 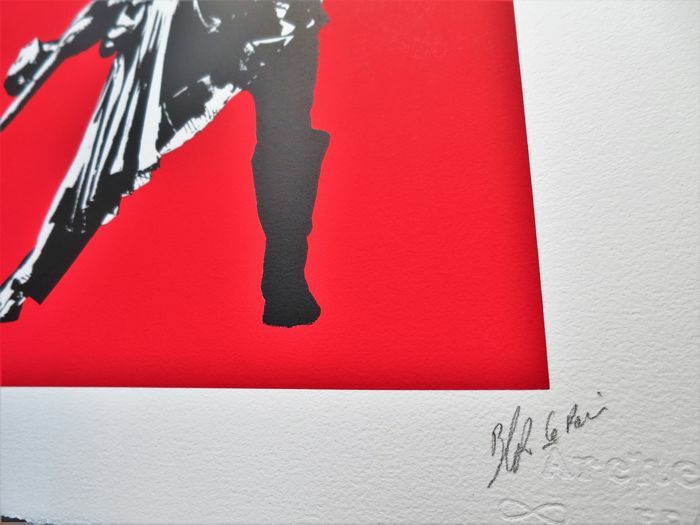 An original unique screen print from the iconic French street artist "Blek Le Rat". 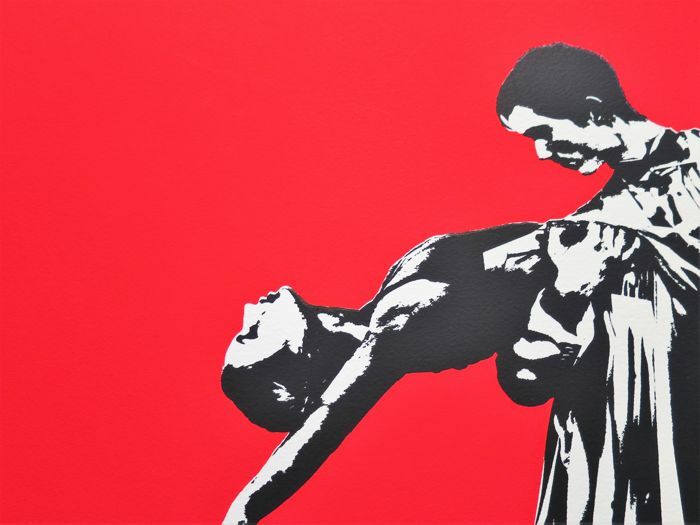 This classic piece is entitled "Le Dernier Tango à Paris" - Last Tango in Paris. 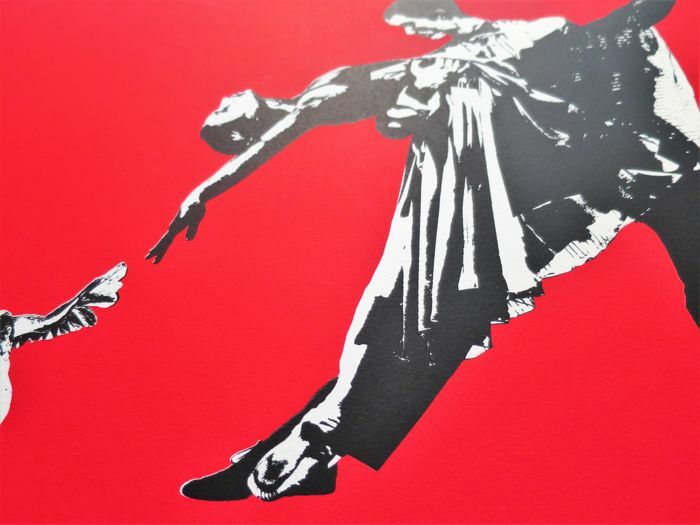 Blek le Rat (born Xavier Prou,1952) was one of the first graffiti artists in Paris, and has been described as the "Father of stencil graffiti", undoubtedly an icon in the street art scene! 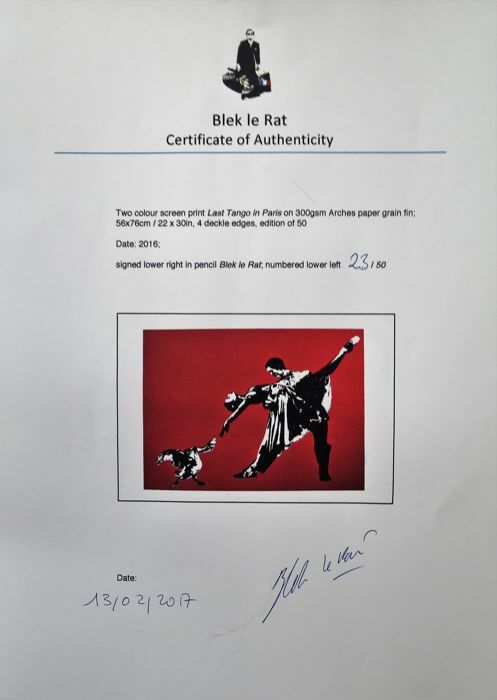 British graffiti artist Banksy has acknowledged Blek's influence stating "every time I think I've painted something slightly original, I find out that Blek Le Rat has done it as well, only twenty years earlier". 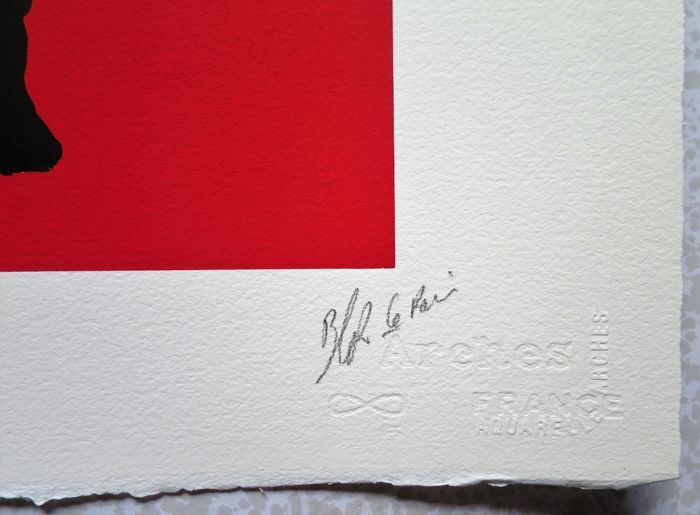 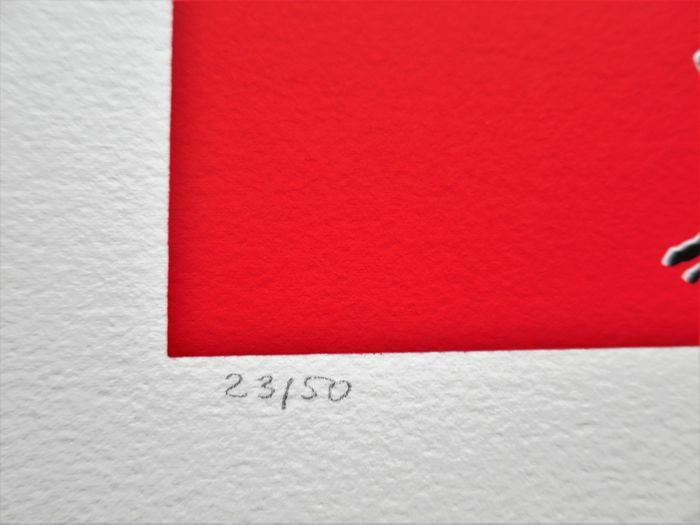 This 2 colour screen print comes on the very finest 300gsm Arches art paper with deckled edges. 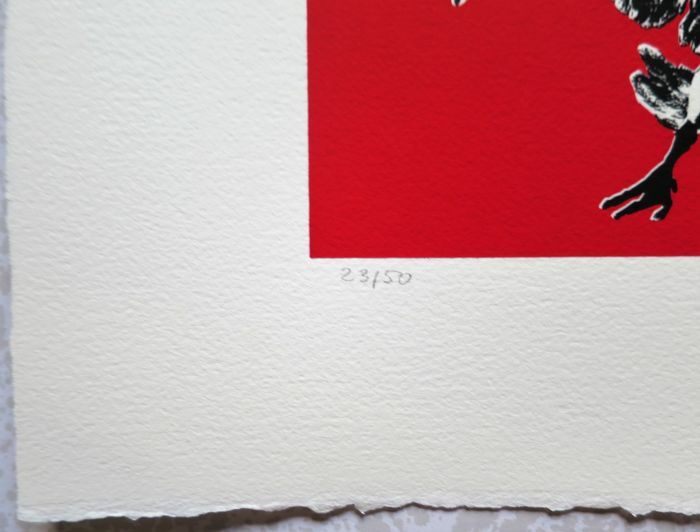 Measuring 76 x 56 cm, it is signed and numbered by the artist also being accompanied by a COA. 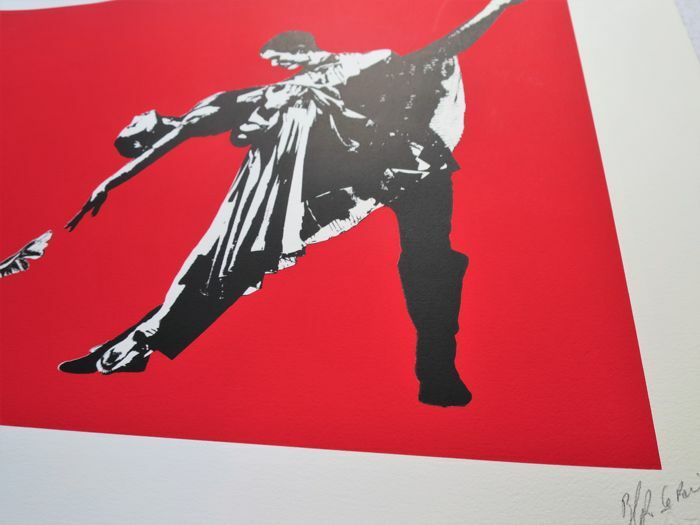 Will be send in secured tube. 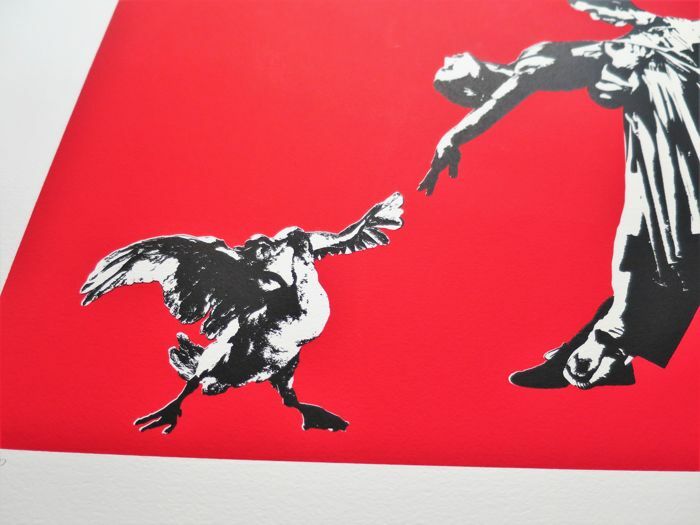 You can pick up this lot from the seller: Lyon (rhone), France.